Vol.. 20, No. 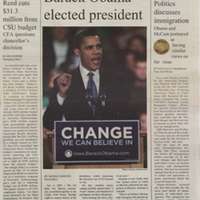 11 announces Obama's win, Pizza and Politics looks at immigration, and the CSU budget gets hit with a sizable cut. Vol. 20, No. 10 continues election and political coverage with one week left to the elections. 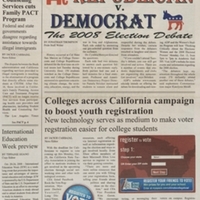 ASI prepares for the Alternative Spring Break in 2009 and more budget cuts are forecast. Starbucks' pricing is the focus of an article. Vol. 20, No. 8 continues election and political event coverage, including voter registration and the debates. Other news is the elimination of the Family PACT program from Student Health Services and a preview of International Education Week. The Vol. 10x, No. 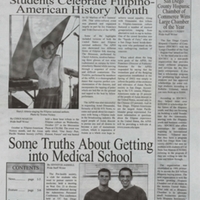 9 issue of the Pride reports on the celebration of Filipino-American History Month and some "tricks" to getting into medical school. 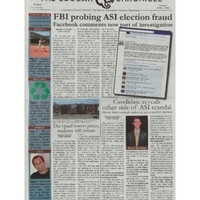 Volume 41, number 2 of The Cougar Chronicle. 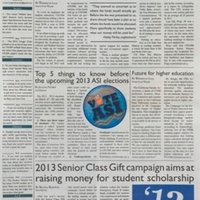 The issue includes stories of the ASI election, campus sports, and Valentine's Day. Vol. 4, No. 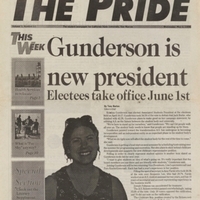 14 of The Pride announces results of the AS President run off election. Vol. 4, No. 12 of The Pride looks forward to the upcoming ASI election. 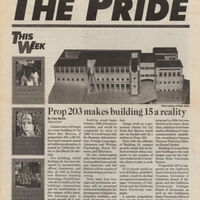 Volume 39, Number 6 of The Cougar Chronicle. 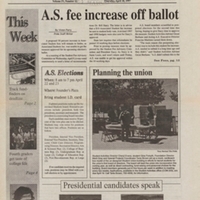 The issue includes stories of the Associated Student election scandal, campus sports, and the 10th annual International fair. 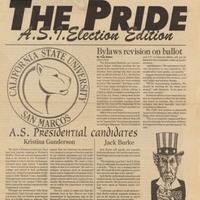 Volume 2, Number 14 of the first student newspaper on the CSUSM campus. 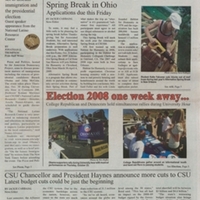 The cover story reports on potential campus closure, student election results, and white water rafting. 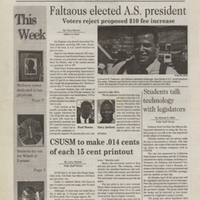 Volume 2, Number 3 of the first student newspaper on the CSUSM campus. The cover story reports on changes in the Soviet Union, installation of a campus phone system, and comic books. 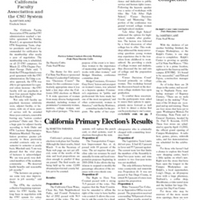 Volume 1, Number 15 of the first independent student newspaper on the CSUSM campus. A runoff election for the first CSUSM Associated Student President. The Pioneer presents the views of the two top candidates as well as uncontested election results. 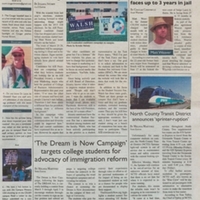 Volume 1, Number 14 of the first independent student newspaper on the CSUSM campus. 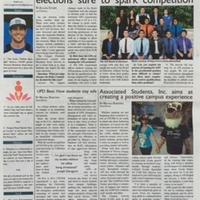 VOTE screams the cover story in orange as CSUSM holds the first student election.